I would like to place an order but the website is not working. What to do? 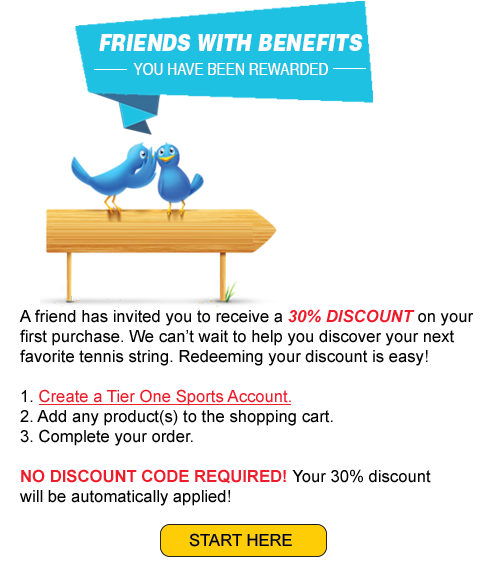 If you have a valid discount code you would like to use with the order please provide this information in the email as well. Once we receive your order by email we will email possible purchase options. Add the products you would like to order to the "cart"
Click on "cart" symbol in the upper right corner. Click on "Go to Checkout"
Select shipping method and click "Next"
What type of string should I choose: a co-polyester string (Durafluxx, T1 Firewire, Tour Status, Strike Force RIP, Black Knight) or a multifilament string (Triumph)? In nowadays game of tennis many high level players have switched from nylon based strings (multifilament, synthetic gut) or natural gut strings due to its advantages just mentioned. These strings are ideal for young junior players, senior players and players who have little playing experience. We currently do not offer a cheaper synthetic gut string. We only offer a high-end multifilament string. In its essence synthetic gut strings and multifilament strings are generally made out of the same material "nylon". But the structure of the string can dramatically change to quality of the strings. For example, our multifilament string called Triumph (nylon based) offer more than 2000 microfibres in the 16 gauge version which results in a very smooth and arm friendly playing experience. What is a hybrid string setup? A hybrid string setup is when the racquet is strung with two different type of strings in the mains (the strings that are parallel to the grip) and the crosses. Even at the professional level using a hybrid string pattern has become very popular. Although not consistent, most players use a co-polyester string in the mains and a multifilament or gut string in the crosses. The thought process is that the co-polyester string in the mains increases durability, spin potential and adds control to the player's strokes, whereas the multifilament/gut string in the crosses adds arm friendliness, feel and playability.